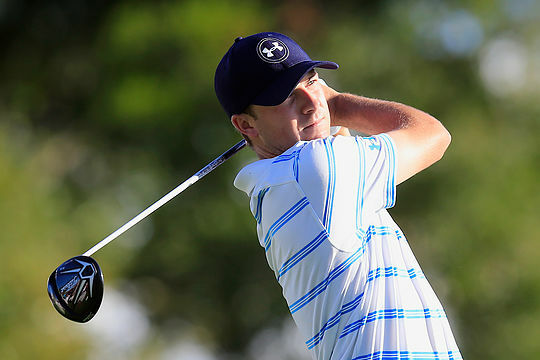 Jordan Spieth is no different to the rest of us. While he might be here to defend his Australian Open crown at The Australian GC in Sydney this week, Spieth also has a “bucket list” of courses around the world he dreams about playing. The difference is, he is getting it done. While he might be just 22, the two-time major champion is already working his way through the list and near the top of it lies the fabled Australian courses of Kingston Heath and Royal Melbourne. So that’s where Spieth has been during this Aussie excursion, which will see him mix the business of golf with some of golf’s undoubted pleasures as well. So Spieth will taste the delights of Melbourne’s famous sandbelt before detouring to Sydney for a shot at winning his second successive Stonehaven Cup. What Spieth hasn’t realised it, once you get a taste of Victoria’s sandbelt you’ll want to try the lot and suddenly courses like Commonwealth, Yarra Yarra, Metropolitan, Victoria, Woodlands and even further down the road at Peninsula-Kingswood suddenly appear on your golfing radar. Yet Spieth admits his bucket list carries a variety of layouts, worldwide, he still wants to play. Spieth also mentioned Sand Hills in Nebraska, a course designed by Coore-Crenshaw. “I’ve heard it’s supposed to be that good, from Ben Crenshaw and everyone down there,” he said. Plenty of time for that Jordan…but first you have an Australian Open to win.